Last weekend, I watched two movies and a play. I couldn't have spent my weekend any better. Remember the bonding time I promised my sister, well, we watched the matinee of Rodgers & Hammerstein's Cinderella. Via purchased our tickets months ago. We were seated at Balcony I, which at 1,000 pesos was not so bad. 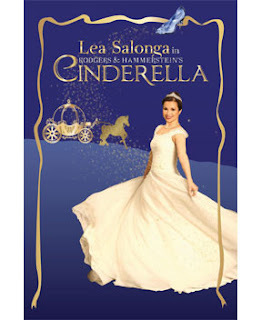 On our way to CCP, I repeatedly prayed that we get to watch Lea Salonga play Cinderella. I read in her Multiply that as long as she's not sick, she will be playing Cinderella. So I kept on praying that she is well. And our prayers were answered. Although, from where we were seated, we realized it was Lea after she delivered her first line. We were so far high that we should've bought binoculars. But I was too cheap to pay for those. So we ended up sitting uprightly and squinting most of the time. Despite that, the experience was delightful. I am biased as Cinderella is my favorite fairy tale classic. I am big fan of movies. I make it a point to watch a movie in a moviehouse every week. It doesn't matter if I watch alone or with someone. Of course, my favorite movie companion is is my husband Jed. 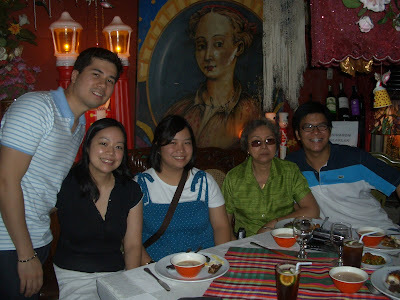 My family had been urging me to watch John Lloyd's movie with Sarah Geronimo, called A Very Special Love. I rarely watch Tagalog movies unless a credible person (a family member or close friend) point out to me how good the story is. Now this movie's trailer caught my attention as I laughed when I saw it on TV. Together with my family's encouragement, I was very intrigued which led to my decision of watching it on the big screen. So last weekend, I was in front of Glorietta 4 Cinema chatting with my best friend while we wait for another dear friend and we were off to see John Lloyd's movie. My friends shall remain nameless. It wasn't hard to convince our other friend to watch the movie, as I learned, she also has a crush on the lead actor -- just like me! The story was hilariously funny. The characters of John Lloyd and Sarah were someone everyone would relate with. And the issues the movie focused on were something the audience felt at one point in the life. I love how simple the plot is. It's such a light movie that as a movie goer, I am only expected to laugh and feel good about each scene. 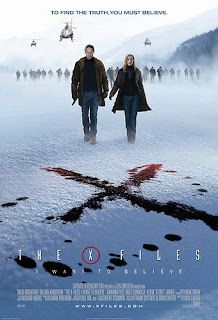 I had never been a follower of the TV show X-Files. I ended up very confused while watching the movie version. I do not believe in aliens or supernatural forces. I only believe in the power of God. No matter how terrible the film was, the important thing is I spent time with my husband and sisters-in-law. That weekend was full of great bonding moments with my husband, sister, sisters-in-law, and dearest girlfriends -- and all because of two movies and a play. I had been a fan of Apple products, and I am impressed with their state-of-the-arts products and its unique features. While my budget cannot afford me a MacBook Air, the only Apple product I own is an iPod Classic while I love and use all the time. I wanted to own one. 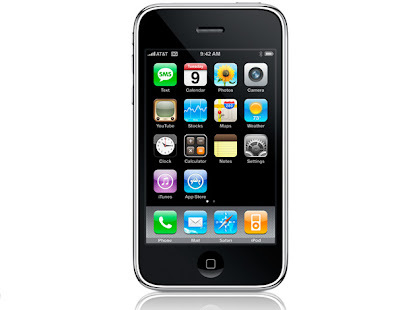 Then the news came that Globe Telecoms is bringing iPhone 3G to the Philippines. Together with my co-worker, we happily filled-out a reservation form online. And we both waited for Globe to contact us. The more I learn about Globe's priority in their distribution of iPhone units, I was disheartened. Being an existing Globe postpaid subscriber for years has become a disadvantage. The better packages are offered to switchers and new subscribers. Apparently for a loyal Globe subscriber like me under the G-Flex 800 plan, the only way Globe would let me own an iPhone is if I purchase the handset for Php 41,899. You have to be kidding me!?! The iPhone Standard Pricing package do not apply to me. Ideally, for my plan of G-Flex 800, the handset would only cost me Php 24,000. Now that's a Php 17,899 difference. Terminate my existing subscription and just apply for a new subscription. However, it is a hassle to change numbers. Buy the unit abroad, and have it unlocked to work here. Unlocking is illegal. Purchase the unit from Greenhills. Now that is questionable. You know what, forget it. I'm no longer interested. Then I learned that actual reservations fell short of Globe's expectations which prompted them to lower the handset unit from Php 41,899 to Php 37,599. Ha! But when I looked at the new plan for G-Flex 800, the handset unit had been increased to Php 25,000. What the freak is going on!?! My conclusion: An iPhone from Globe is not worth it. I am very disappointed at how Globe take care of their subscribers. It honestly made me think of switching to a different (maybe better) network. Better wait a few months and when the hype has died down, I know that prices will drop. Then I would rethink buying an iPhone. I was supposed to share the link of PEOPLE.com's album of the family's photos but its suddenly nowhere to be found. Toink! I looked forward to my evening bonding with my two best girls, Neyza and Ding. Neyza had been away for five months, and having my best friend thousands of miles away from me had been very challenging. But she's back and is here to stay. Ding went on vacation and I haven't had the chance to see her since she got back. I was very excited to see both of them and catch up. The day started out good. I had time to prepare baon for Jed and myself. Doing that simple thing for my husband put me in a good mood. Oh, and today is our 8th month together. Four more months and we will be celebrating our first anniversary. Time at the office was enjoyable. I was surprisingly productive and inspired. Let me say that the atmosphere at work had gotten much better now that the new boss is here. I found time for my cardio workout by attending Body Attack class at Fitness First. I also squeezed in a manicure and pedicure appointment at Nail Spa in Gamboa. I am currently addicted at how good Nail Spa's staff do their job. And then the rained poured down when I was supposed to go meet my girlfriends for dinner at the newly-opened Mom & Tina's in Perea. The rained poured hard, and I was stranded in Nail Spa. I couldn't brave the heavy rain for fear that my newly-pedicured feet will be ruined. How vain of me! Well, it ain't cheap so I prefer taking good care of my nails. Then Ding came to the rescue, she picked me up from the salon, and we headed to Mom & Tina's. Mom & Tina's in Perea is exactly the same as their main branch along C5. I immediately felt at home. Jed & I loved Mom & Tina's as we got our wedding favors from them. They customized their oatmeal cookies for us and all our guests loved them. Neyza finally showed up, and the next couple of hours were spent eating the delicious dishes and catching up on lost time. Boy, do we multitask well!! 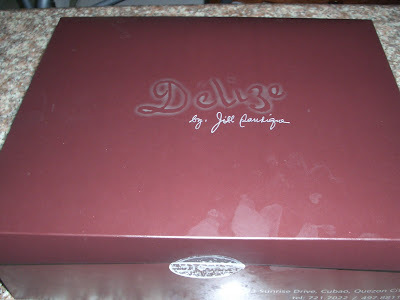 Both Ding and Neyza gave me pasalubong. I was so thrilled. I am very happy Neyza is back, and that she has some great news about herself. Ding and I will get to bond with her more before the new adventure in my life begins. We may even spend so much time together in the coming months. Ding is the solution to one of my problems. I am forever grateful with how generous she is. Girlfriends are an important part of my life. And I'm happy the Lord had blessed me with a handful of really good girlfriends, and these two are on the top of my list. On the 8th day of the 8th month of year 2008, Jed & I attended a wedding. It was the wedding of PJ & Maries. PJ is the eldest son of my boss, Butch. Butch and I have been working since 1997. So you can imagine how close I have gotten with his family. They treat like me I am part of their family. And this was the reason why Butch made it to the top of our principal sponsors list for our wedding. Back to PJ, we're the same age. We graduated from the same college. Animo La Salle! And the time I started work at the Embassy, PJ was currently looking for a job. I'd remember him sitting quietly in Butch's office in between job interviews. What I could not forget was when I called his father, "Sir..," he laughed hard. Then I called Butch by his first name after that incident. PJ and Maries exchanged vows in St. Andrews Church. I became the impromptu offeror when the designated person failed to show up. The reception was at the Manila Polo Club. Jed followed me at the reception. I was kept company by my dearest officemate Lynn, and her husband Bob. Enjoying cocktails with Butch, Mariel, Bob and Lynn. Lynn and I amongst the de la Cruz women. We're hoping to be a power couple one day. Finally, a group photo with the bride, Maries, and groom, PJ. Jed and I stayed until after the reception was over. We had a great time talking with our Ninong and his buddies. I had bonding moments with Ninang Coy and her daughter Mariel. Mariel is tying the knot January next year, and I was delighted to learn we are invited to her wedding. I am a private person. I need personal space -- A LOT! And I hate having to deal with too many nosy people. Unfortunately, I am surrounded by too many of them - at work, my own relatives, just about everywhere. As much as I'd like to answer these people's nosy questions with "It's none of your darn business!!" Such action will earn me: (1) more enemies, and (2) a free enrollment to an anger management class. I try to be really witty but there are times when I'd simply lose it. Now there goes my grace going down the drain. In finding ways to stop me from becoming the Incredible Hulk, I stumbled upon the Real Simple site. Real Simple came out with a solution to How to Deal with Nosy Questions?, which I am sharing here. Here are examples of nosy questions, how to answer such questions, and how to ask them without sounding "nosy." Nosy Question #1: How Much Do You Weigh? How to Respond: "Enough" or "I don't know — whenever I step on the scale, it says, 'Perfect,'" suggests Claudia Michelle Wallace, a comedian with Chicago's Second City. Or try responding in a cleverly vague way: "The British would say I weigh nine stone" or "One and a half Mary Kate Olsens." How to Ask: Don't. The only people who have a legitimate reason for asking this question are doctors, your personal trainer, and the amusement-park carny who runs the Guess Your Weight game (but even he shouldn't ask, since he’s supposed to be guessing). Nosy Question #2: How Old Are You? How to Respond: "I'm old enough to know better." You can also claim a ridiculous age, or say, "I'm aging rapidly just thinking about it," says Amy Dickinson, author of the Chicago Tribune advice column Ask Amy. "Or try Dustin Hoffman's response in Tootsie," says Dickinson. "'Age means nothing to me — I'm a character actress!'" How to Ask: Flattery will get you everywhere: "You're so accomplished for your age! What are you — 25? You look like it." Or casually mention your last high school reunion, or where you were when some major historical event occurred. The person may chime in with a story that will help you do the math. Nosy Question #3: What's Your Salary? How to Respond: Be deliberately vague. You can say, "I do OK" or "I'd like to make more." If the person presses on, let your parents take the fall: Say, "My mother told me to never discuss money," and stop there. "Don't explain your response — simply change the subject," says advice columnist Amy Dickinson. How to Ask: If you're trying to find out how much a particular job or industry pays, phrase it in this manner: "What could I expect to make as an account executive?" Nosy Question #4: What Did You Do On Your Date Last Night? How to Respond: "The usual — dinner, dancing, hot-air-balloon ride." Most of the time, you don't have to answer someone's nosy question directly. You can creatively answer around it. The person asking is probably trying to find out whether you had a good time. So tell him if you did (or didn't) and leave it at that. How to Ask: Don't ask specifics. (Do you need to know where they had dinner, how long the date lasted, etc.?) Simply ask if they had fun. They'll cough up details if they want to. Nosy Question #5: How Much Is Your Rent/Mortgage? How to Respond: "Rents in this building go for…" Or say, "I have a great Realtor you should try." This gives your friend information without compromising your privacy. Asking about someone's mortgage is more invasive. Simply say, "That's between me and my bank" or "My credo is to not discuss anything about money." How to Ask: Wait for the right moment, such as a dinner with a group of friends who are all in the throes of house hunting. Still, don't ask for specifics. Instead, make it general: "How much do houses go for around this neighborhood?”" If your friends are comfortable talking about it, they may offer up their price, but don't expect it. Nosy Question #6: How Much Did You Pay for Those Shoes? How to Respond: Simply say, "I don't remember — I have no idea," "They weren't much," or "They were a treat for myself." Most of the time, this is a harmless, innocent question — the person is admiring your shoes and thinking about them for herself, not probing into how much importance you place on material objects or how much money you have. How to Ask: Instead of asking the price, ask where she got the shoes or what the brand is, then go find out how much they cost. Nosy Question #7: What Was Your Doctor's Appointment For? How to Respond: "You don't want to know" (said with a smile) or "I'm just fine — thanks for asking." You don't have to go into any detail. A vague answer will satisfy most people. They will understand you don't want to answer and back away. How to Ask: Don't ask specifics — just express your concern. "Is everything OK? Can I help you with anything?" That shows you care without invading privacy. 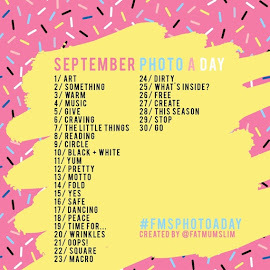 Nosy Question #8: Why Are You All Dressed Up? Did You Have a Job Interview? How to Ask: Try the "butter up" method: "What a gorgeous outfit! What's the occasion?" You've tossed out the bait. If she wants to pick it up, she will. Otherwise, let it slide. Nosy Question #9: Why Did You Call in Sick? How to Respond: "I wasn’t feeling well." Then stop right there. No one needs to know about your gastrointestinal distress. How to Ask: Make sure it's clear you're asking because you are genuinely concerned about the person, not because you're the work-attendance police. Deliver this question lightly and with concern, not in an accusatory manner. Nosy Question #10: What Was That You Were Talking About? How to Respond: "The price of tea in China." "Nothing exciting enough to share." This question is often used as an entrance into a conversation. If the question comes from someone who overheard a phone conversation, apologize for talking so loud. How to Ask: It's all about the context. If you walk by a group of friends and they're laughing, you may be able to break in and say, "Did I miss something fun?" But don't presume that your need to know is greater than their need to continue the conversation. Yes, I get asked about this a lot! If I collect money from those who ask me, I'd probably have enough money to buy myself a nice pair of Viktor jeans. Believe me, they're that many. Who's Playing at the Beijing Olympics? My fondest memory of the Summer Olympic games was watching it on TV with my father. We bonded while watching it together and talking about the games. It had been his dream to watch it live in person. He could've gone to the Seoul Olympics in 1988 as that was the closest one to the Philippines. But that dream did not happen. Although, I think, with where he is now, he could go to any place he wants to be. I know my brother wants to watch one Olympic game live. I have this very good feeling he will fulfill our father's dream. Watching the Olympics became a habit for me, and I had been an avid fan since the Seoul games. I remembered waking up at an ungodly hour to watch the opening ceremonies of the Barcelona Olympics. I get this thrill from watching the best athletes compete and break world records in every possible sport -- swimming, diving, gymnastics, etc. During my teenybopper years, I'd be spotting for the most handsome player/athlete. Later on, I'd be taking down names of athletes which sounded distinct to me thinking I could name my future kids after them. Last Sunday, the Pastor's sermon talked about the Olympics and he shared that Time magazine came out with an issue about this Olympic's 100 Olympic Athetes to Watch. Then I realized that the Beijing Olympics will begin this Friday, and I had no idea who the players are. And so my research began. Let me share Time's top 10 who made it to the 100 Olympic Athletes to Watch list. I know a bit of who will compete. The next two weeks will be busy watching the games. Our TV at home will be tuned in to whichever channel is covering the Olympics live. Will the Philippines bag its first-ever gold medal? Let's keep praying fellow Filipinos! 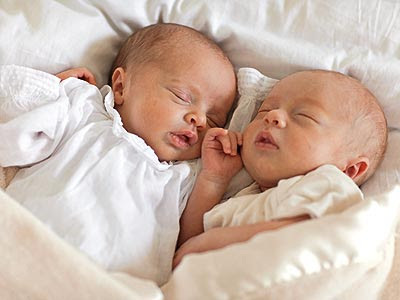 They are just 3 weeks old, but twins Knox Léon and Vivienne Marcheline are about to take the world by storm. 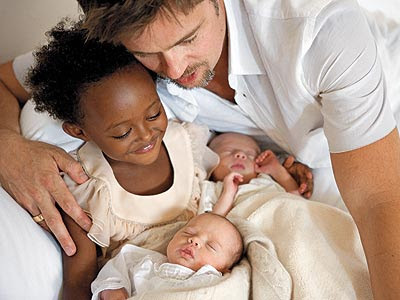 In an exclusive interview and photos, Brad Pitt and Angelina Jolie offer PEOPLE an intimate look at their growing family. "It is chaos, but we are managing it and having a wonderful time," Jolie tells PEOPLE of daily life at the Château Miraval in Provence, France, where the couple's four older children – Maddox, 6, Pax, 4, Zahara, 3, and Shiloh, 2 – have been enjoying a summer of outdoor play (hide-and-seek is a favorite) on the château's sprawling grounds. Adds Pitt: "[It's] still a cuckoo's nest." Fortunately, they already have some household helpers. 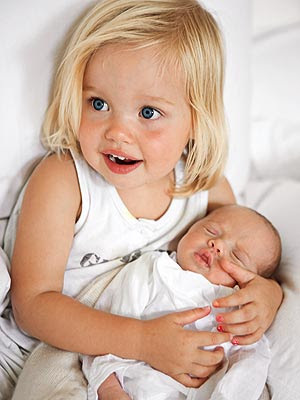 "[Shiloh] and Z pick out [the twins'] clothes and help change and hold them," says Jolie. 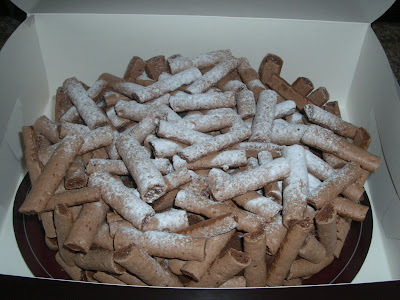 "It's sweet – they are little mommies." Today, my youngest sister turned 23. I am very close with my two siblings. And it broke my heart that I had to move out of the house to be with Jed when I got married. But now I see that both of them are doing well with our current arrangement. Now, that will change in a few months as Jed & I move on to a new stage of our married life. 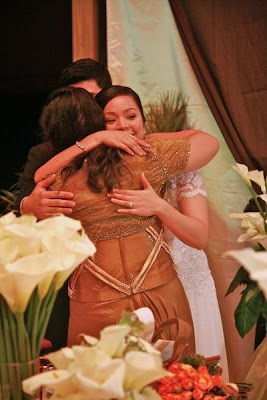 Via was my maid-of-honor. I didn't have any other attendant at my wedding other than her. She may be 9 years younger but we share common interests. I feel very young when I hang out with her. My brother and I put her to school when my father died. 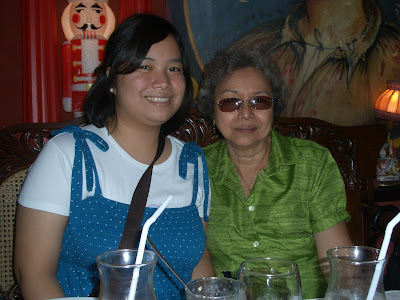 I was the proudest Ate when she graduated from college at the Ateneo de Manila. Now, she's on her second job, working for Universal Robina Corporation. At my wedding, she was the most affected person. I found her crying at the reception. And I just had to give her the biggest hug and assured her that everything will be fine. That was seven months ago. And we still get bond every now and then. For her birthday, she treated us to lunch at Cafe Juanita. We were thrilled that Cafe Juanita serves buffet lunch on Sundays. We found ourselves eating plates plates of yummy Filipino dishes. It was my sister and mother's first time at Cafe Juanita, and they were instantly at home. We liked its homey atmosphere. The restaurant is not intimidating despite its upscale diners. Her birthday cake was a Concorde from Jill Sandique's. It was delectable! Cheryl blogged about this video in her LJ yesterday. I'd rather not watch video streaming at the office as it slows down the internet. So, I watched the video this morning. All of a sudden, I was just crying. The video is beyond touching, it is inspirational. If there's a will, God finds the way. One of the greatest commandment is: Honor your parents. There is a reason why we need to follow that commandment. Nothing is truly impossible to a person doing the right thing. I'd like this to be my reminder when the time comes that I do forget what the Lord wants me to do in a similar situation.